After more than two weeks of catastrophic infernos that indiscriminately devoured thousands and thousands of homes and structures and claimed scores of lives, both of California’s wildfires are now almost completely contained. Northern California fire officials reported late Saturday night that the devastating Camp Fire in Butte County is 98 percent contained, just days after their counterparts in Southern California pronounced the Woolsey fire that tore through Malibu and other areas is 100 percent contained. 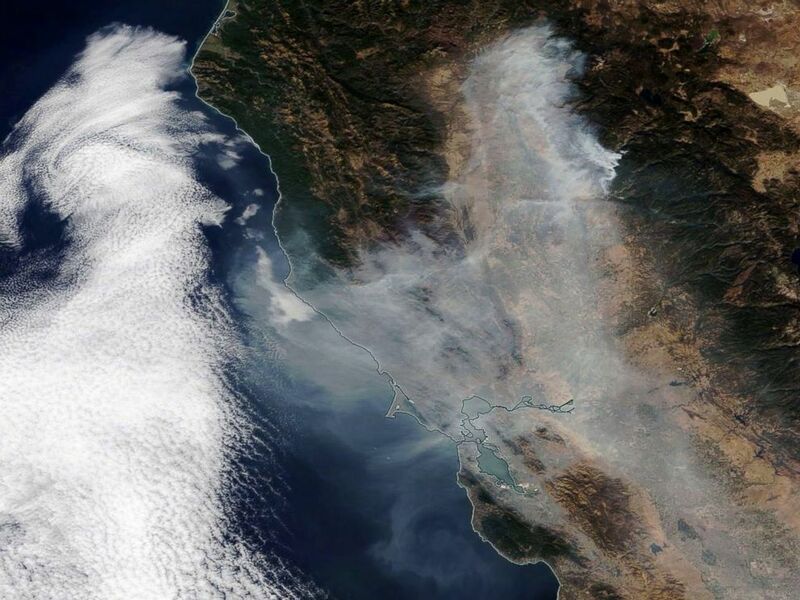 Smoke from the Camp Fire spreading over Northern California towards the Pacific Ocean, Nov. 16, 2018. “We haven’t taken the day off,” Butte County Sheriff Kory Honea said in a video message on Thanksgiving Day. A search and rescue team combs through the debris for possible human remains at Paradise Gardens, Nov. 16, 2018 in Paradise, Calif.
A multi-agency task force, at the request of the Butte County Sheriff’s Office, has captured detailed aerial imagery maps of damaged properties in most of the burn areas in the town of Paradise, as well as video surveys and 360-degree drone panoramas of all major roads in the area, according to the sheriff’s office. Much-needed rain doused the scorched areas on Friday and Saturday, though the heavy rain did bring new dangers to the burn scar areas in the form of flash floods and mudslides. 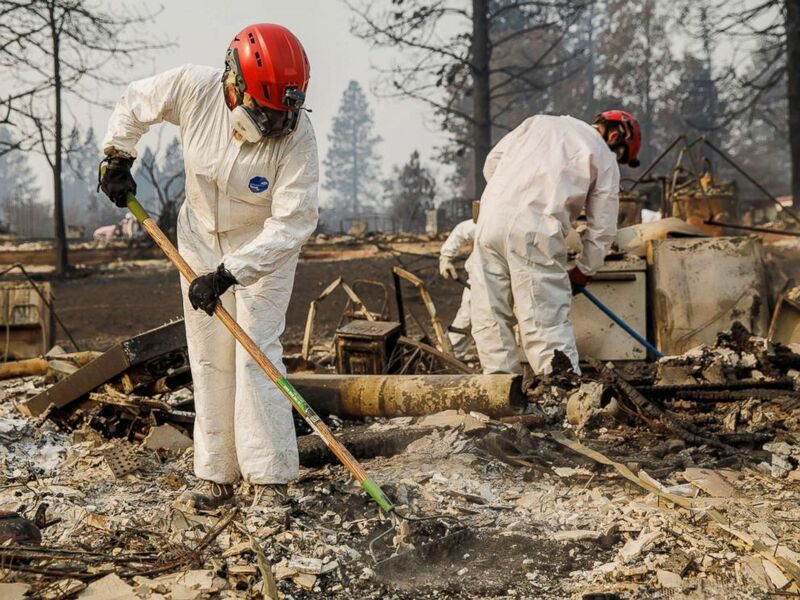 The death toll from the Camp Fire increased to 85 on Saturday, after officials found still more bodies in the burned-out rubble of homes and melted cars, according to the Butte County Sheriff’s Office, which has warned that the remains of some of the missing may never be recovered due to the severity of the fire. 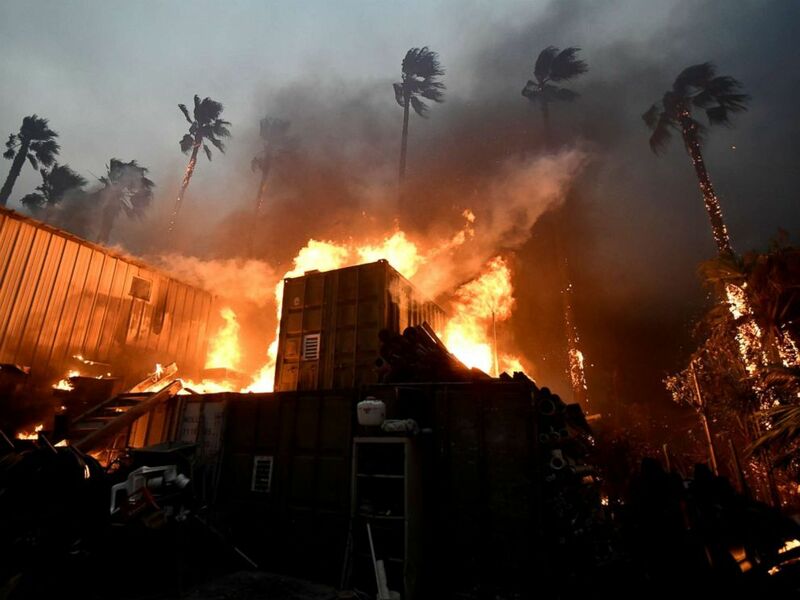 Thom Porter, chief of strategic planning for the California Department of Forestry and Fire Protection, said the body count is expected to climb higher as search crews continue sifting through the destruction. 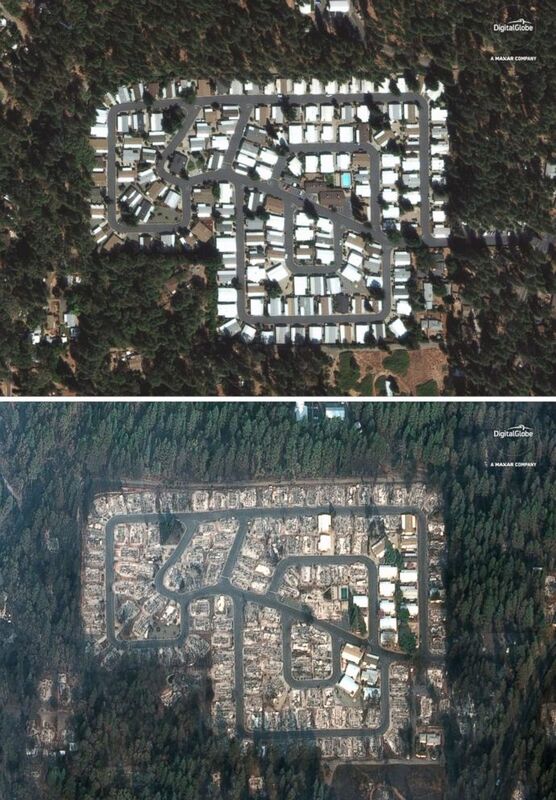 “It is by far the most deadly single fire in California,” Porter has said of the Camp Fire. “The entire community of Paradise is a toxic wasteland right now,” Schuster said on Nov. 13, holding back tears. “This is one of the worst disasters I’ve ever seen in my career, hands down,” Long told reporters at the scene Nov. 14. HBO’s “Westworld,” have been filmed, dating back to the 1920s. 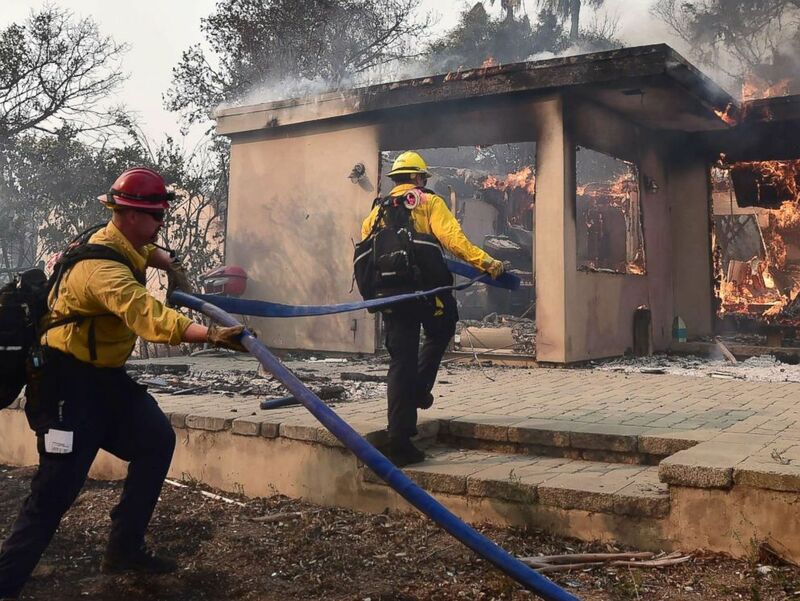 Firefighters knock down flames in the Point Dume neighborhood of Malibu, Calif., on Nov. 10, 2018, after the Woolsey Fire tore through the neighborhood overnight. Smoke advisories were issued for the affected region amid concerns that smoke from the fires could present a “significant health threat” for people with asthma and other lung conditions, according to the U.S. Department of Health and Human Services. Residents were advised to stay indoors as much as possible and to wear a protective mask when venturing outside. Berkeley Earth, a California-based nonprofit that analyzes air quality in real-time, ranked San Francisco, Stockton and Sacramento as the world’s three “most polluted cities” on Nov. 16. 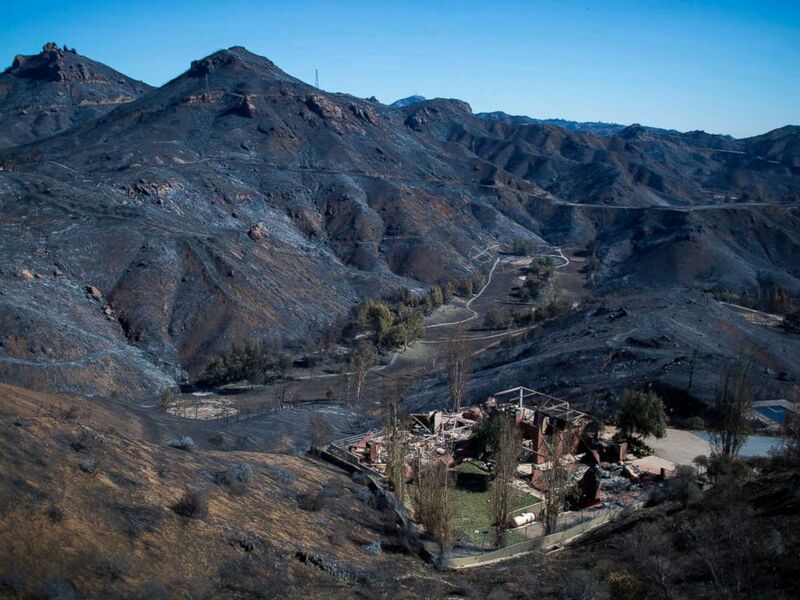 The Santa Monica Mountains are seen left blackened by the Woolsey Fire near Malibu, Calif., Nov. 14, 2018. 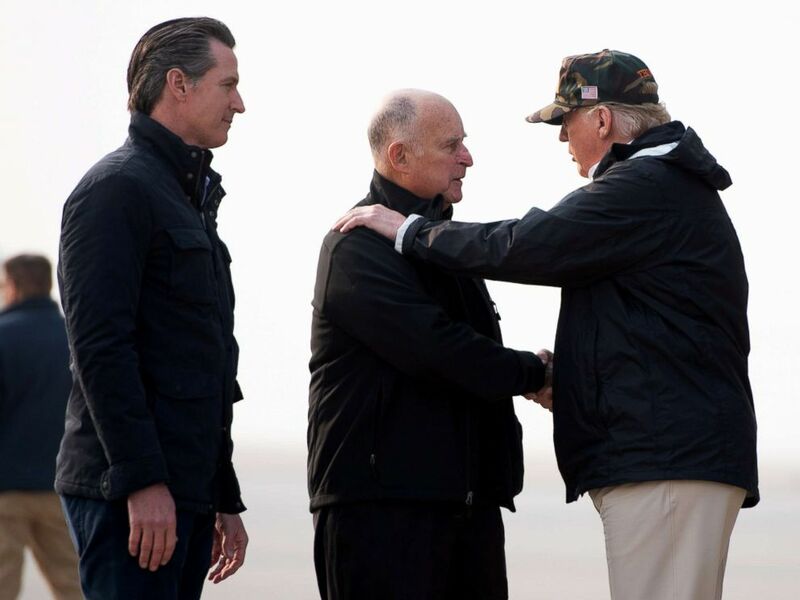 President Donald Trump greets California Governor Jerry Brown and Governor-elect Gavin Newsom, left, as he arrives at Beale Air Force Base in California, Nov. 17, 2018. President Donald Trump arrived in California on Nov. 17 to survey the scene of surreal devastation and meet with firefighters, alongside California Gov. Jerry Brown and the state’s governor-elect, Gavin Newsom. ABC News’ Karine Hafuta, Marilyn Heck, Julia Jacobo and Bonnie McLean contributed to this report.